"Good productand great knowledgeable service!" 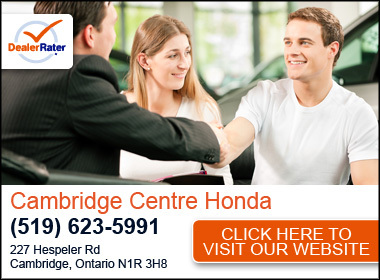 We have been servicing our 2008 CRV at Northern Honda since moving to the area 5 years ago. I have always had quality work at a fair price. We thought by now that we would be purchasing a new Honda but it still runs as well as it did when it was new! Aaron,Greg and Shane are wonderful to deal with . We have been dealing with Honda for a few years and never had any problems with the work thats been done . Always excellent service! !The Staff is polite and have a friendly disposition.The envornment is clean and welcoming.Will look in to purchasing our next vehicle form Honda .Regards Dwayne . We have been dealing with Northern Honda for almost 10 years. Our 2010 Pilot is still on the road and in great condition. Very little rust. We've so been confident in their service and product for our car that we bought a Civic for our daughter and her boyfriend bought a Civic as well. Greg and Shane treat my daughter and I as if we are their only priority. The service folks have done a great job keeping our vehicle in tip top shape. Thank you Northern Honda family! We were coming back from our trip when my CRV-2010 needed a battery boost. I stopped in a Northern Honda. They took me right away. 30 minutes later, a new battery was installed and I was on my way home. Friendly and informative staff. I feel safe once CRV is checked over. Informed of new vehicles coming out in February. Quick service and explained all work that will be done. I 'popped' into the service department to see if I could get my block heater cord fixed. They took me in right away and got me to work on time. This is not unusual as I have been dealing with Northern Honda for the past 19 years but to get me to work on time when I wasn't booked for an appointment was very impressive. Overcharging the service and charge you for the service that you dont want to. The advisor will let you know the service charge after they do or fix something and not asking/informing you first.